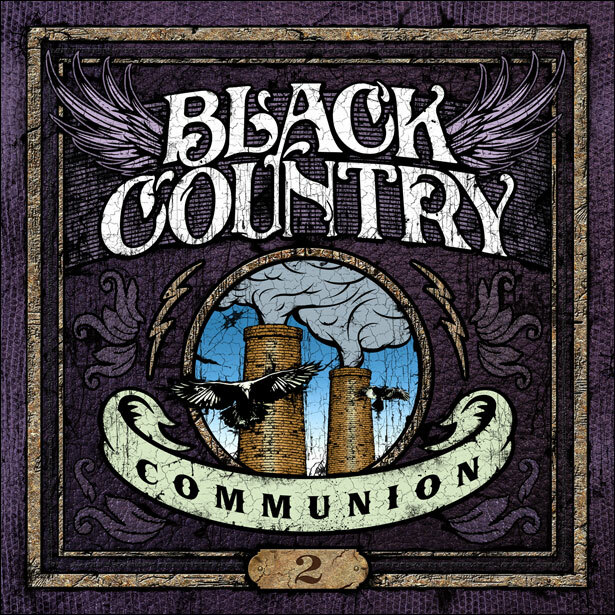 Was it just me, or was the Black Country Communion debut album a wee bit over praised? Maybe folks were just desperate for some trouser straining seventies style rock, but it wisnae really all that good. For sure, it was good to hear Glenn Hughes wrapping his tonsils around something a bit more substantial than he has of late, but after some initial slavering, I haven’t returned to it since. Thankfully, this is better. It’s the same mini-supergroup as on last year’s debut, with guitarist Joe Bonamassa, drummer Jason Bonham and one time Dream Theater keyboardist Derek Sherinian making up the ranks, and it comes out firing on all cylinders with a couple of explosive rock tracks in the shape of ‘The Outsider’ and ‘Man In The Middle’. It’s an album that seems to be firmly aimed at the music starved ranks of Led Zeppelin fans, rather than fans of bands associated with the back catalogue of the members, with the most obvious song being ‘Save Me’, a tune that Jason Bonham says originated with the Led Zeppelin reunion rehearsals four or so years back. as close as they get to the blues, and on the big ballad, ‘Cold’. not really coming off, although he does better on ‘An Ordinary Man’, where the band have a bash at some Bad Company. They also visit Led Zep II for ‘I Can See Your Spirit’, but if you’re looking for an out and out rock classic then ‘Smokestack Woman’ overcomes its title with ease. The best vocal is most definitely ‘Cold’, which sees Glenn Hughes pulling out all the stops. It’s a more complete album than the debut, and for people starved of Led Zep vibes, this will be manna from heaven.